Haws 7501 Portable Eye Wash Station is a compact and lightweight 9 gallon eye wash station. It has a flow rate at .4 gallons per minute (gpm). 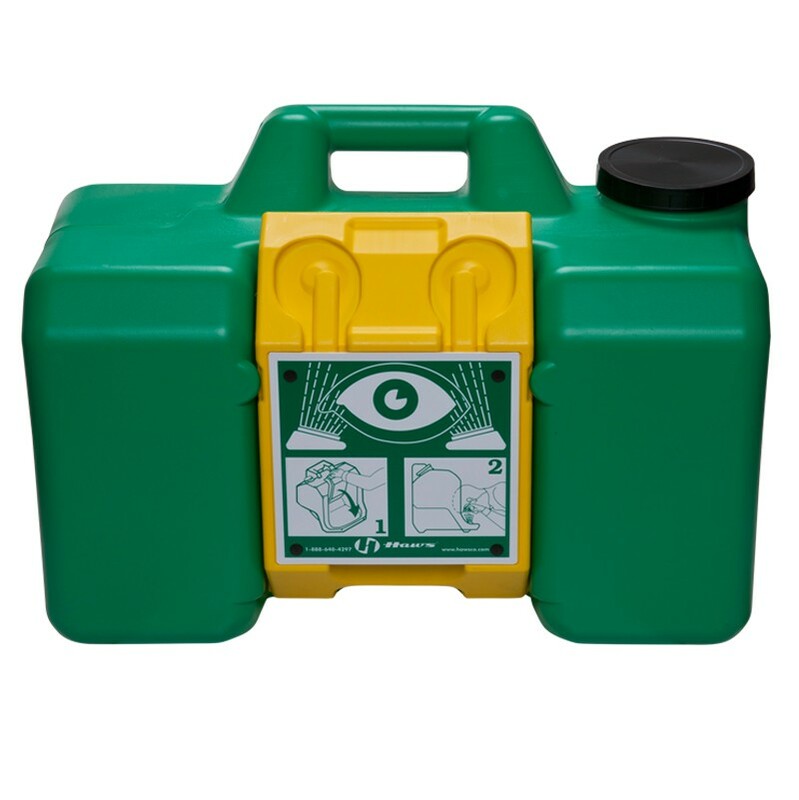 This portable eyewash station is smaller than all other styles and is ideal for remote locations and uses gravity to supply the continuous flow. The unit is made of a high quality plastic and is easy to clean and maintain. Bacteriostatic solution not included but can be purchased separately above in product options tab.